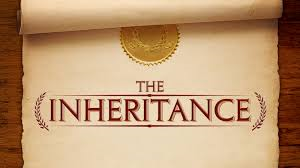 What To Consider When You Have Inherited a Home? Baby boomers are expected to inherit about $27 trillion over the next forty years, and much of that will be the homes their parents lived in. Inheriting a parent’s home can bring on a great deal of emotional and financial uncertainty, and it only gets trickier if there are siblings involved. If you have inherited a home, it can help to understand that you have three basic options: selling the home, moving into it yourself, or renting it out as an investment property. It’s this first option that can be the hardest for most people. After all, you can probably decide with a bit of thought if you want to move into the home, or if you have the time, energy, and money to devote to being a landlord. It’s often the thought of selling a loved one’s home for many years — a home that has seen its fair share of memories — that’s hardest. Here’s what you should know about selling an inherited home. There are several advantages to choosing to sell the home, if you can come to terms with the fact that the house is just a house; the memories you take with you. While you may need to pay taxes on any amount you receive, many beneficiaries are able to avoid capital gains taxes. This is because you get a stepped-up basis on the home. You will only pay taxes on gains over the home’s fair market value at the date of your parent’s death if you sell. This should be a big consideration when you ask yourself, “Should I sell my house fast or hold onto it and see what happens?” The faster you sell the home, the less time it has to appreciate in value and the less you pay in capital gains taxes. Another big consideration is whether the home has a mortgage. Many people inheriting a parent’s home do not have a loan to worry about. Still, even if the original loan was paid, your parents may have taken out a reverse mortgage. Keep in mind you can only assume the mortgage if you plan to live in the house yourself. If you plan to rent it out, you will need to refinance it into your own name. You cannot assume a reverse mortgage as a beneficiary. If your parent’s home has a mortgage and you do not have the credit rating or money for a refinance, you may be left with only one option: selling. If that’s the case, look into ways to sell my house fast to avoid the financial burden of making mortgage payments on a home you can’t own yourself.